Thanks to newly regulated markets and mobile devices 888 saw a significant rise in its user base last year. 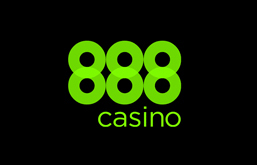 Online poker and casino operator 888 has reported a 7% rise in its fourth quarter revenue thanks to increased usage of its mobile services in Italy and Spain. The fourth quarter revenue rose 7% year on year to $97 million while overall revenue for 2012 rose 13% to $376 million. On the last day of 2012 there were 13.1 million registered accounts for 888’s Casino, Poker and Sports betting services, this is an increase of 23% from December 2011. According to Mattingley this year has started off well, he said that at the end of January 888 had $88 million of cash and cash equivalents and $48 million liabilities to customers.